Investing is demanding work. And while many might enjoy it as a hobby, it really is all about doing your homework to grow and protect your portfolio as a vital part of funding your retirement. But I know that time is also something that’s an important asset in your life. And taking time to keep up with the economy and the stock and bond markets as well as the thousands of individual investments can be a less-than-pleasant chore. Fortunately, some folks in Boston, Massachusetts back in March of 1924 came up with solution. Rather than going through countless stocks and bonds, Massachusetts Investment Trust (now, MFS Investment Management) launched the first open-ended mutual fund for the American marketplace. The idea was to make it easier for individual investors to capitalize on the best of the markets without having to take so much time to analyze individual securities. Also, that they could make smaller investments that could be pooled to provide greater diversity without sacrificing costs for transactions. John Bogle saw that mutual funds could be much better for individual investors. His focus was on the ideas that broader indexing could bring greater returns and reduced risk and that lower fees would mean more for individual investors. His ideas led him to form what would become The Vanguard Group, which is now the largest open-ended mutual fund management company by assets. 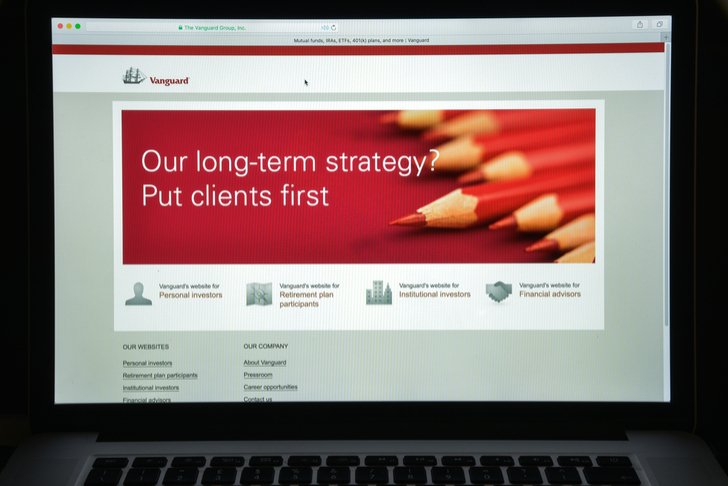 And Vanguard continues to provide a wide variety of lower-cost index-focused open-ended mutual funds that individual investors can trust with their retirement investments. In my Profitable Investing newsletter, I have a collection of model portfolios with varied objectives including growth & income (Total Return), dividends (The Incredible Dividend Machine) and a series of mutual fund and ETF portfolios. One of my successful mutual fund portfolios is the Fund Supermarket. The objective is to provide a balanced collection of mutual fund allocations that can be bought and held in any discount brokerage account that mirror my main Total Return Portfolio of mainly individual stocks. I’d like to showcase three of the heavily weighted funds from John Bogle’s Vanguard Group that highlight some of my major investment themes. Dividends continue to be a vital part of a successful investment plan that I embrace in my Profitable Investing. In fact, if you look at the S&P 500 Index over the past twenty years, dividends contributed 42.61% of the total return of the index. The Vanguard High Dividend Yield Index Fund (MUTF:VHDYX) is structured to focus on a wide collection of U.S.-listed stocks that are paying higher dividends to their shareholders. It pays a quarterly dividend that has been rising by an average rate of 8.25% over the past five years to a current yield of 2.8%. That’s significantly better than the S&P 500 Index’s current average yield of 1.75%. And not only do those dividend payers provide a nice flow of income that pays for patience through markets that can be volatile, but overall returns have been impressive. The Vanguard High Dividend Yield Index Fund has generated a return over the past ten years of 168.71% for an average annual equivalent of 10.38%. The next Vanguard mutual fund has another of my investment focuses, that of buying stocks that are a value compared to the general market. This is embraced by the Vanguard Value Index Fund (MUTF:VIVAX). This fund focuses on larger stocks among the great companies listed in the U.S. stock market. The fund’s holdings include many of the bold-faced names that drive the U.S. market and the economy, such as Microsoft (NASDAQ:MSFT) and JPMorgan (NYSE:JPM). And they are also some of the better value-priced stocks that are set to grow over time. It has its current allocations weighted in banks, which are cheap due to past heavy-handed regulations. But with a wave of legislative and administrative reforms, banks are now significantly benefiting from eased capital requirements and compliance costs. And with a booming American economy, lending is on the upswing, bringing additional profits. And with the 2017 Tax Cuts and Jobs Act (TCJA), banks are on the front line of beneficiaries for shareholders. The fund also has significant holdings in technology companies that are transforming from gizmo products to recurring fee-generating services especially related to cloud computing. This is transforming these companies from risk-prone one-off product sales to more steady models that generate lots of cash for investors. And there are many other sectors that are also good values but are also on the ascent in their expanding markets, including petroleum. The return of the fund has been impressive. The past twenty years has seen a total return of 297.82% for an average annual equivalent return of 7.01%. This proves that value can be a great growth investment over time. And last up in my showcased Vanguard funds is the Vanguard Real Estate Index Fund (MUTF:VGSIX). As the name implies, this fund focuses on real estate investment trusts (REITs) in the American market. REITs are one of the best market opportunities this year. After the Tax Cuts & Jobs Act of 2017 noted above, REITs suffered a sell-off. The idea was that with the corporate tax rate cut, REIT’s tax advantage of not having to pay Federal income tax was less important. And there also was a fear that the Federal Reserve’s Open Market Committee (FOMC) was going to send interest rates spiking in the American economy, which would hurt income-focused investments. However, as I wrote repeatedly, these ideas were ill-founded. On the tax front, the TCJA had a provision that directly aided REITs. The legislation provides investors with the ability to deduct 20% of REIT dividend income from their taxable income. This makes REIT dividends even more valuable for investors. And as I also wrote repeatedly, the FOMC was not going to spike interest rates, but rather continues to guide interest rates to more normal levels on a very gradual basis. REITs with their valuable assets and the ability to bolster revenue from rising leases in an improving economy have been great investments in the American market. The REIT market has been a strong outperformer since the bottom in the market on Feb. 8 to date, seeing a total return of 15.61% as measured by the Bloomberg REIT Index compared to the S&P 500 Index at 11.80%. The Vanguard fund has outperformed the Bloomberg REIT Index for that same period of time with a return of 16.55%. And with the American economy still on the burn, REITs should continue to perform with tax-advantaged dividend income and rising property asset values, which makes the Vanguard Real Estate Index Fund a great buy. Article printed from InvestorPlace Media, https://investorplace.com/2018/08/vanguard-funds-to-pick-up/.